London - Tottenham manager Mauricio Pochettino said talisman Harry Kane could be out of the rest of the season after he limped off injured in the second half of his team's 1-0 Champions League victory against Manchester City on Tuesday. Kane appeared to roll his left ankle in a coming-together with City's Fabian Delph and was replaced by Lucas Moura in the 58th minute. Son Heung-min put Spurs ahead in the 78th minute and they held on to win the match 1-0, putting themselves in pole position with the second leg of the quarter-final to come in Manchester on April 17. Spurs goalkeeper Hugo Lloris said he did not know the full extent of Kane's injury. "Hopefully it is not too bad," Lloris said. "I don't know. You know the feeling when one of your best players is going off the field. "But we stayed strong and we finished the game in the right way." 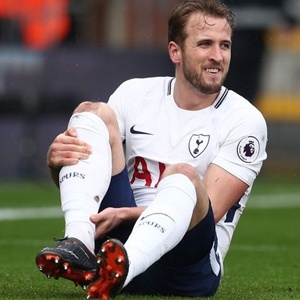 Kane, who injured ligaments in his left ankle during Tottenham's Premier League defeat against Manchester United on January 13, only returned in late February, missing seven matches. The 25-year-old, the winner of the Golden Boot at last year's World Cup, has scored 27 goals for club and country this season. Tottenham are fourth in the Premier League, chasing a Champions League place for next season.